Sometimes the big news stories can only be seen by the shadows they cast. You would think that it would be easy to find detailed updates on the Fukushima disaster’s impact on the fishing industry, milk production, global radiation distribution patterns, etc. You would be mistaken. 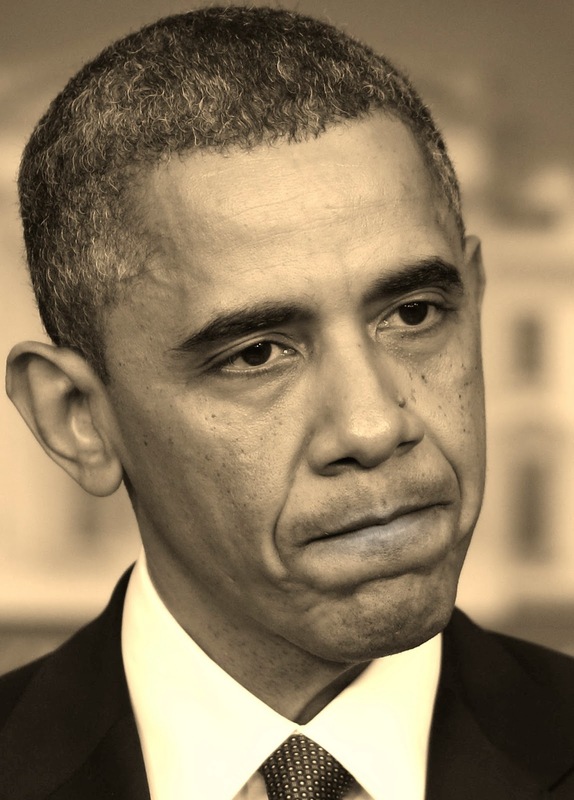 The massive media coverage the initial disaster has fallen nearly silent. Some frustrated environmental advocates have suggested that there may be a media blackout. Maybe not, but media follow-up stories are few and far between these days. Then, on August 22, 2012, NHK News reported that the Fukushima Daiichi nuclear plant says it has detected radiation 380 times the government safety limit in a fish caught off Fukushima Prefecture. Perhaps my internet search skill are not the best, but the fact that I have to search for follow-up information is a warning sign. Journalists and the media should paying more attention to to this topic. The one recent article related to radiation fallout from Fukushima I found was a scientific study published in November, 2012. It focuses primarily on how tracing the travel of radionuclides gives insight into atmospheric air circulation in the Northern Hemisphere. I think we all deserve to know more about what the US, Canadian and Mexican governments are doing to monitor radiation levels, track distribution rates and study how it may be impacting our food supply. Below is a reference to the recently published study. Massive amounts of anthropogenic radionuclides were released from the nuclear reactors located in Fukushima (northeastern Japan) between 12 and 16 March 2011 following the earthquake and tsunami. Ground level air radioactivity was monitored around the globe immediately after the Fukushima accident. This global effort provided a unique opportunity to trace the surface air mass movement at different sites in the Northern Hemisphere. Based on surface air radioactivity measurements around the globe and the air mass backward trajectory analysis of the Fukushima radioactive plume at various places in the Northern Hemisphere by employing the Hybrid Single-Particle Lagrangian Integrated Trajectory model, we show for the first time, that the uninterrupted complete revolution of the mid-latitude Surface Westerlies took place in less than 21 days, with an average zonal velocity of > 60 km/h. The position and circulation time scale of Surface Westerlies are of wide interest to a large number of global researchers including meteorologists, atmospheric researchers and global climate modellers. Counterfeit Ketchup! How Wide Spread Domestic Product Counterfeiting? DATA DRIVEN VIEWPOINT: I am posting this story because I have never heard of food product counterfeiting before and wondered if other people in other parts of the country have heard of similar instances of this sort of deception. 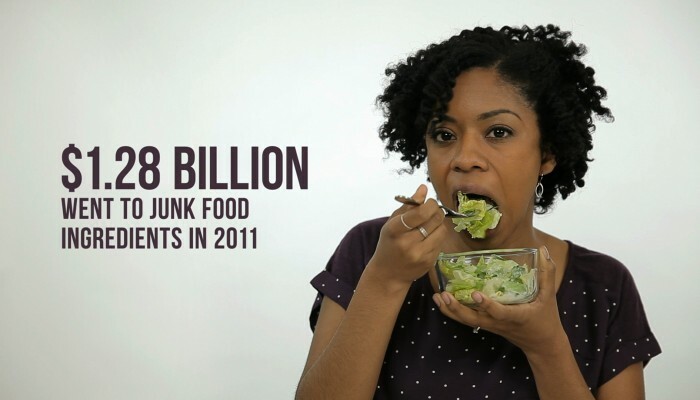 Most stories about counterfeit foods involve food imports. This is a case where a brand name product is purchased and repackaged here in the US. It raises lots of question about how something like this can happen, where a product is purchased in such bulk quantities for repackaging in an obviously disreputably operation without the knowledge of the brand name manufacturer. Note also that there was no local law enforcement investigation. If anyone knows of any similar situations please contact me in the comment section below. Thank you. DOVER — It looks like a grisly murder scene. Red splotches pooling on a warehouse floor. A rotten smell. Insects swarming. Crates knocked to the ground. But no one died here. This wasn’t carnage. This was condiment. 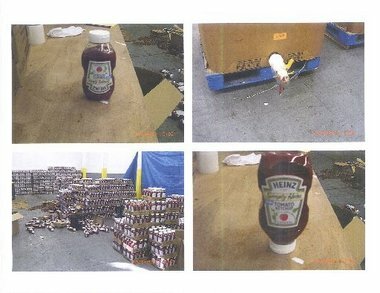 Inside a privately owned Dover warehouse are the remnants of an abandoned Heinz Tomato Ketchup counterfeiting scheme. The ketchup appears to be real but the labels on the plastic bottles are a fraud, according to a Heinz spokesman. Company officials, who visited Dover last week, believe someone purchased traditional Heinz Ketchup and transferred it from large bladders into individual bottles labeled “Simply Heinz,” a premium variety made with sugar instead of high fructose corn sweetener. 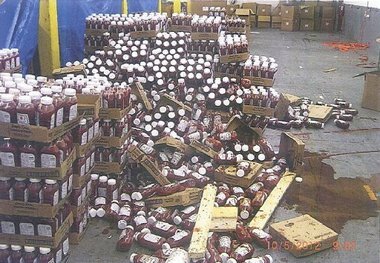 The 7,000 square feet of space on Richboynton Avenue in Dover had hundreds of crates holding thousands of bottles of ketchup. Of course, without any quality control, it is impossible to know what, if anything, else was put in those bottles. That leads to a pretty big mess and a feast for flies, which is what caught the attention of other tenants who rent space in the warehouse, Dover Public Safety Director Richard Rosell said. If this all sounds a bit unusual, it is. Dover police are not yet involved. They are aware of the situation, Rosell said, but nothing has been reported stolen. Heinz is working with the U.S. Food and Drug Administration’s Office of Criminal Investigation, Mullen said. The space is leased by Wholesome Foods, LLC, which is registered to Joseph Carrera, according to state records. A man answering Carrera’s cell phone repeatedly hung up when he learned a reporter was on the on the line. Voice messages were not returned. 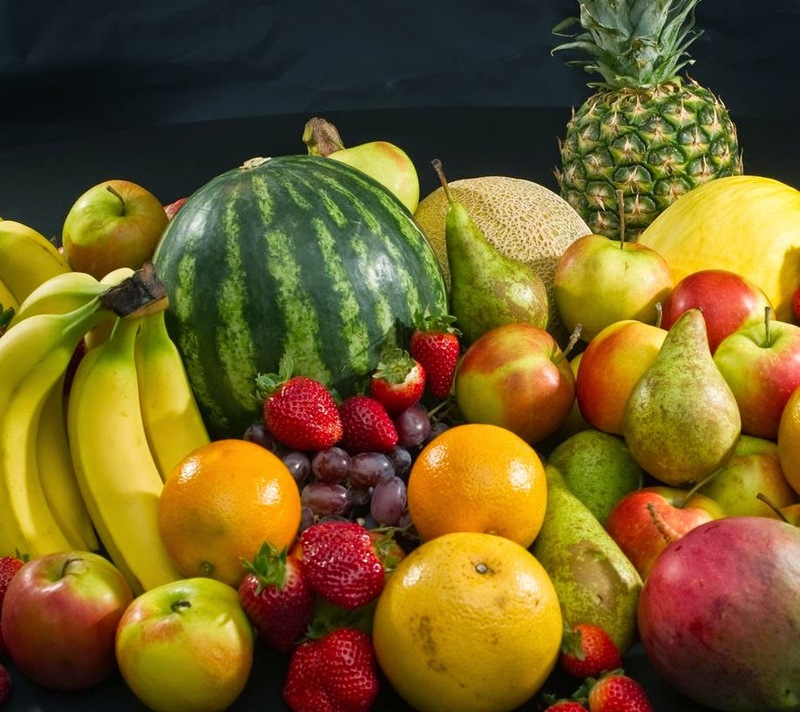 Rutgers University food science professor Don Schaffner said counterfeit food operations in the U.S. are rare, though scams have popped up with greater frequency internationally in recent years. In 2008, a chemical used to make concrete, fertilizer and plastics called melamine sickened 300,000 children in China and killed at least six infants when it was used as filler in Chinese milk and formula products. Star-Ledger staff writer Jessica Calefati contributed to this report. This article has been changed to reflect the following correction: It was incorrectly reported that acids ferment, causing ketchup bottles to explode if left in the heat. Sugars ferment, not acids. BALTIMORE (WMAR) – You know to be suspicious of counterfeit purses and counterfeit cash, but counterfeit food? It’s a growing threat. When you fall victim to this crime, you could be putting your life in danger. Finding food fakes is a constant battle for investigators across the world. We found video shot by Interpol Police showing counterfeit products. These candy bars, fish, cheeses and tomato sauce could end up here in the United States. Food and Drug Administration Agents are also on the hunt for phony food products and ingredients. They seize everything from counterfeit olive oil and wine. Dr. John Spink, Associate Director of the Anti-Counterfeiting and Product Protection Program says, “We think we’re buying a high value or specific type of product and the bad guys have swapped it out with something that’s inferior.”The problem is so big that a new national database was recently created to try to track it. The key word here is “try” because it’s hard to catch during production and shipping. Once it makes it to market, consumers don’t realize they’ve been ripped off, unless they get sick.In a new study, Spink crunched the database numbers revealing the top counterfeited foods. 16% of counterfeited food cases involved olive oil. In many cases, the oil was diluted. 7% percent was honey adulterated with sugar and corn syrups. The most recent case involved vodka laced with methanol which left some college students in England with permanent vision damage. Something that just popped up recently. Garden-variety tomato being marketed as the more expensive heirloom ones.